Gummybear International, the creators of the Gummibär brand and animated gummy bear character, are giving away two Easter baskets, each filled with over $100 worth of Gummibär merchandise. The 3rd annual Gummibär Easter Basket Giveaway has been announced. Two lucky Gummibär fans will each win a festive Gummibär themed Easter Basket filled with more than $100 worth of Gummibär merchandise and Easter goodies including a plush toy, cookie cutters, a reusable bag, a USB flash drive, a pen, a pencil, a notebook, 2 DVDs, 3 CDs, and random candy and egg surprises. 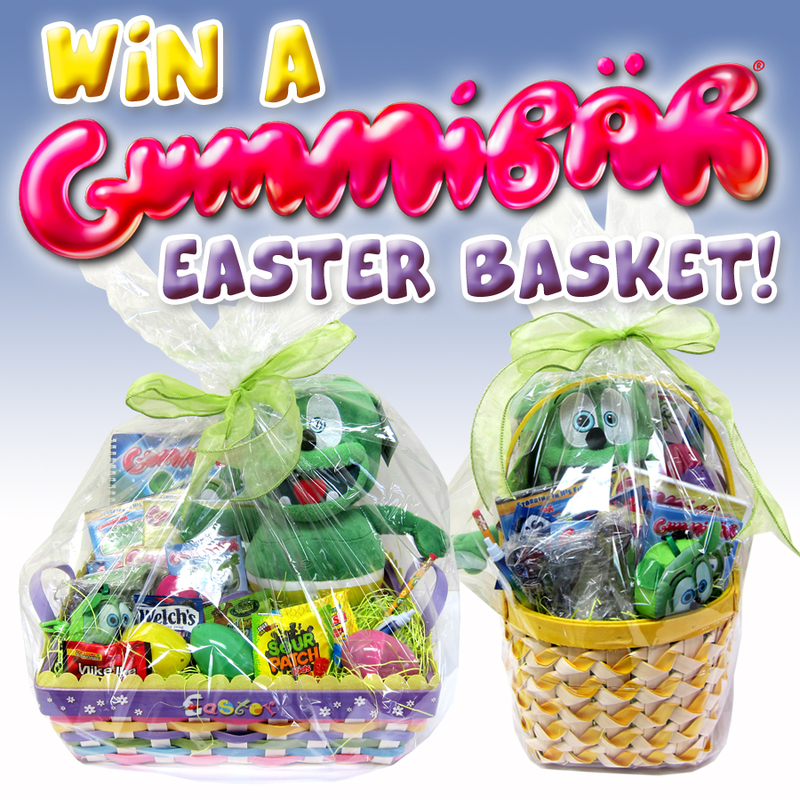 To be eligible to win this year’s Easter Basket Giveaway, Gummibär fans need to be sure to do two things. First, they must be sure to sign up for the official Gummibär Email Newsletter, if they have not done so already. A subscribe form for the newsletter can be found on http://www.gummibar.net. Secondly, fans must leave a comment on the Easter Basket Contest announcement page at http://www.gummibar.net/2014/04/02/want-to-win-a-gummibar-easter-basket-3 and be sure to use the same email they used when they signed up for the newsletter. All Gummibär fans that fulfill both requirements by 12 Noon EST on April 14th will be eligible to win. The winners will be notified by email sometime during the week of April 14th. The first Gummibär videos were posted in 2006 and since then the character has grown to be immensely popular around the world. The official YouTube channel for Gummibär today has over 1.5 billion documented views and continues to average about 2 million views every day. The character’s songs have been released in over 40 different countries and in over 27 different languages. Gummibär has received Sales Certification Awards in over 8 countries, including one for going 96 times Platinum on Universal Records in Greece. The musical success of Gummibär has also lead to extensive merchandising lines throughout the world.